I have started photographing birds in the wrong way. 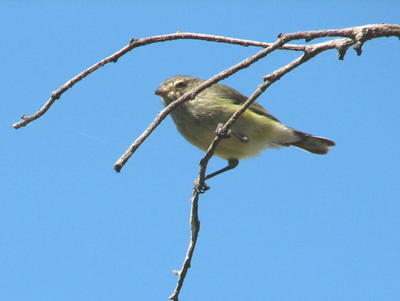 I have taken on those LBBs (Little Brown Birds) which cause so much angst amongst birders. Some of them are annoyingly difficult to identify, even when conditions seem good. They are sometimes hard to get good views of even when they sit still. Some of them never seem to sit still for even a second. 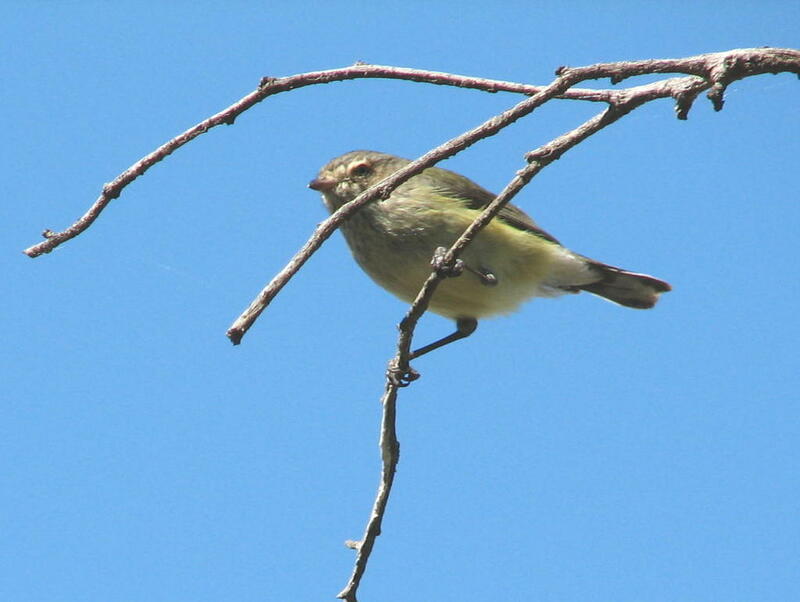 Then they are too far away to be certain about the ID or they are partly obscured by foliage, twigs or branches. The opposite is sometimes a problem; too close to focus one’s binoculars yet too far away for the naked eye! Our little patch of mallee scrub has an interesting set of LBBs on tap just waiting to annoy me and to engage me in an identification detective trail through several field guides. 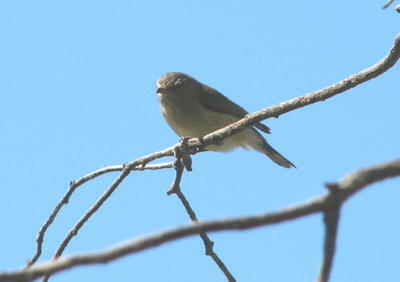 One species is simple; the Yellow-Rumped Thornbill has a very bright yellow rump displayed prominently as they fly off. 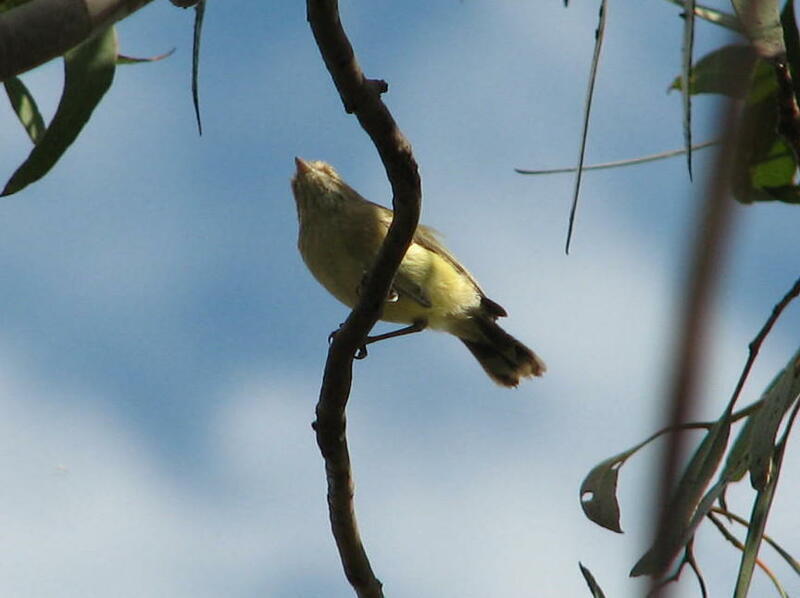 The Yellow Thornbill is easily confused with it if the shadows are playing tricks with your eyes; fortunately this species is not resident on our property. It is an occasional visitor. The Chestnut-Rumped Thornbill, another occasional visitor, should be easy to identify, but this species is easily confused with the Inland Thornbill. Fortunately I’ve only recorded this latter species on one occasion on our property. Still, it shows that one has to be ever vigilant and not assume anything. Having said all of that I feel reasonably confident that the three photos in today’s blog are in fact Weebills. Well, I’m not too sure of the last photo; the bill seems too pointed.